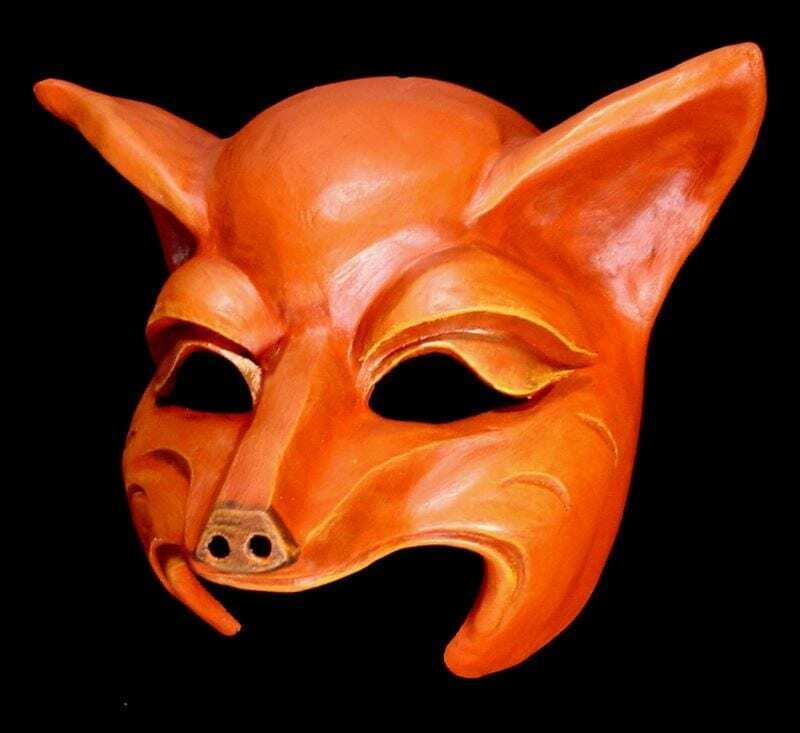 The fox half mask was created for an operatic version of Aesop’s Fables. This comfortable mask is padded and made to withstand the long run of a production or use as a mask for schools. The mask is mostly rigid and held on with an adjustable strap. Fox wants you to know that you look fabulous. She’s not sure if it’s that dazzling headgear your orthodontist just applied or what, but you look DAZZLING. Fox also wants you to know that if you’d be interested in sharing that bag of cheese doodles you’re holding, Fox would be willing to share. That’s the kind of generous spirit that Fox is.